Izaak Walton’s renowned work The Compleat Angler has inspired and guided anglers for more than 350 years. Along with the countless anglers who have followed in Walton’s wake are a multitude of books, blogs, pubs and television series that have drawn purpose from his words. 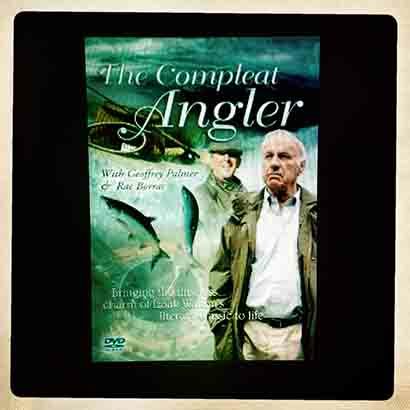 One such television programme was The Compleat Angler, which first aired in 2006. Starring Geoffrey Palmer and Rae Borras, the 10 part series sought to replicate some of the methods and ethics of the original book but with a 21st Century bent. Though both predominantly fly fishermen, Palmer and Borras sample all aspects of the sport as they follow in Walton’s footsteps – beginning on the River Lea in East London as they try to catch chub and roach, and ending on the Hampshire Avon where they team up with Chris Yates to try and snare a river carp. Along the way they fish with vintage roach poles, don silly hats and even catch a few fish. They visit the Tweed in search of salmon and visit Charles Cotton’s fishing house on the banks of the River Dove.